In the months leading up to our 2013 Main Stage season, I will once again be profiling the fertile minds behind the season’s productions—American Night, Romeo and Juliet, Lady Windermere’s Fan, and A Winter’s Tale—in our e-newsletters. For the inaugural installment of the year, I spoke with Richard Montoya, founding member of the legendary performance trio known as Culture Clash, which began in San Francisco’s Mission District in 1984. He collaborated with them and with Jo Bonney to write American Night: The Ballad of Juan José, developed as part of Oregon Shakespeare Festival’s “American Revolutions” program (the same program that developed Jonathan Moscone and Tony Taccone’s Ghost Light). When it ran at OSF, it resulted in their first-ever extension performances; when it opens our 2013 season in May, it will only be its fifth-ever production. What follows is the full transcript of my email interview with Richard. To sign up for our email newsletter, click here. Stefanie Kalem: When and how were you attracted to writing for performance, with Culture Clash and as a solo writer? Did you have a formative experience with theater as a kid, or did it happen more organically? Richard Montoya; photo by Jenny Graham - OSF. Richard Montoya: It happened organically as a child—my folks were involved with the United Farm Workers Union and close to César Chávez, and there was a Farm Workers’ theater at that time that was used as a great tool for organizing workers, pulling them directly from the fields to join a fledgling union. This was done with song and earthy humor and satire and absurd comedia styles; all of that is very much in my tool box to this day—theater for a purpose beyond entertaining. I like entertaining, don’t get me wrong, but the theater of those times was urgent: The sheriff and the Teamsters could be rolling down the street so there was that need to be nimble, mobile, swift—make your point, get a laugh, sing a song, and move on. This is American Night. SK: What made you first decide to sit down and write a play on your own, without your regular collaborators? RM: I started writing solo out of need. I was tired of missing deadlines or getting three schedules together. Writing for one is hard enough; three crazy guys through the years, near impossible. Like in a boy band, there are dynamics—we started out as a committed collective like the Cheese Board in Berkeley but found eventually that one guy was better at sauce, another guy could make the dough. And so I enjoyed the hours and solitude and relative peace of writing solo. But it really took flight in the year following 9/11. We were mid-commission at Arena Stage with Molly Smith (for Anthems: Culture Clash in the District) and the tragedy happens; six days after September 11, 2001, I am on a plane to DC to finish the commission which completely changed at that moment. I sat at LAX with a grief counselor on his way to walk a family through the Pentagon. We talked for 11 hours nonstop at the airport bar. I wrote feverishly—I was never a super patriotic person, but when the counselor took his American flag lapel pin off his jacket and put it on mine and told me I was a war correspondent with a greater responsibility, my life changed: I didn’t suddenly go around saluting flags but I knew what is what like to be a writer in America. And I wasn’t in the boy band anymore. Anthems: Culture Clash in the District was my first solo outing. The cast of AMERICAN NIGHT at Yale Rep; photo by T. Charles Erickson. SK: How will the American Night that Cal Shakes produces differ from the original production at OSF? Or more recent productions at Yale Rep and elsewhere? RM: It is always very fun and essential to write specifics for a region, I believe. The Bay Area version for Cal Shakes is already a riot for me—I know, or I like to think I know the East Bay fairly well. The difference between LA and the Bay is vast, and so is New Haven; Orinda sounds very Spanish to me and romantic and I love all that confusion and clashing of Alta-California and how un-Spanish Walnut Creek and Dublin sound! I also relish the things that bind us; our country is getting smaller. I remember a “thank you” note from a lovely couple following a show at Yale Rep, and it said come visit us anytime in Newtown CT. It tears me up to look at it now but it draws me in at the same time and allows me to feel that tragedy is ever more present, not just a far-off news item and pundits yelling on CNN. I think a lot of Americans felt that way. And so this huge country can be a small town, too. These are the things I think that are difficult for a recently arrived immigrant to feel and know, but I want our American Night hero Juan José to know that, while America can be a violent place, here—as is Mexico—there are more reasons to stay and become a citizen and contribute and make a place better as our grandparents and those before them did. My hardest job sometimes is explaining to my Salvadoran house keeper (yes, I have one, too!) that after the Korean Conflict my dad and his comrades took their GI Bills and went to art school at the California College of Arts and Crafts in Oakland and that action changed our family’s life. I am still riding the wind from that decision. And that a country does that for those who serve—not a bad idea, my housekeeper thinks! SK: What’d the latest on your film directorial debut, SF Noir? And how did it come to pass that you’d direct a film adaptation of Water & Power? RM: I participated in four films in 2012: My own picture Water & Power, based on my play of the same name; Chavez with Mexican director Diego Luna about the life of my childhood hero; The Other Barrio, based on a short story from Alejandro Murgilla, the Poet Laureate of SF; and something else I film this week in LA. W&P is my baby and I am super proud of it—it took years of Sundance Lab time, which I am grateful for, and it will be ready in early spring 2013. SK: What inspires you right now? Any particular music, current events, people, et cetera? SK: If you could have written any play in history, what do you wish it could have been? RM: American Night put me in touch with a deep regard for history—American history, sure, but actually all things old. What did West Texas in 1918 really look like, smell like, feel like? I have to drive there and feel it and sit with it and stand with it and ask permission to use it; I stand at graves and say little prayers or sing songs or leave bottles of cold Coca-Cola and this is my way of thanking and borrowing. What I often drive away with is my mind loaded with richness and an understanding that the early America was a multicultural camp with characters armed to the teeth… Oh, westward ho, indeed, carefully and swift as night. Subscribe now to get the best seats at the best prices for American Night and the rest of our 2013 season. Visiting the Real Pastures of Heaven. 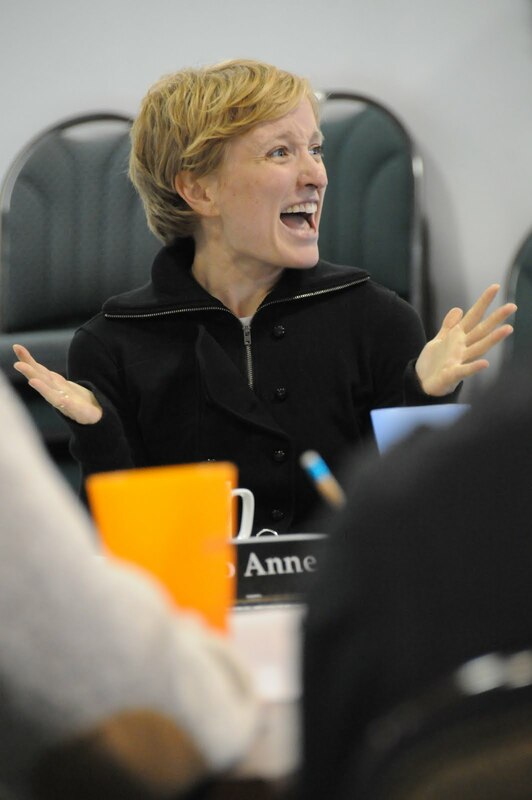 The following blog was written by Trish Tillman, Cal Shakes’ director of Artistic Learning. 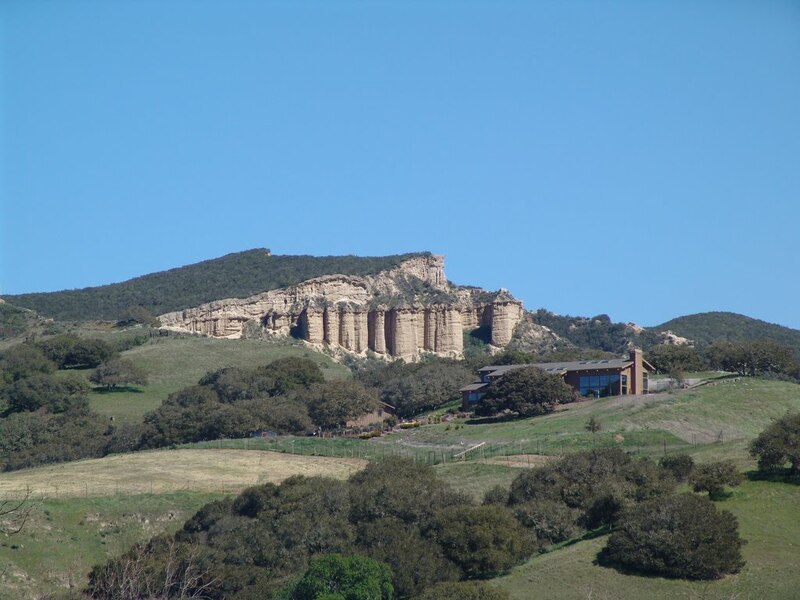 It’s only about 15 minutes outside of the town of Salinas, away from the flat, linear, farm fields, where the land starts to roll and dip and create hundreds of little valleys and large hills. 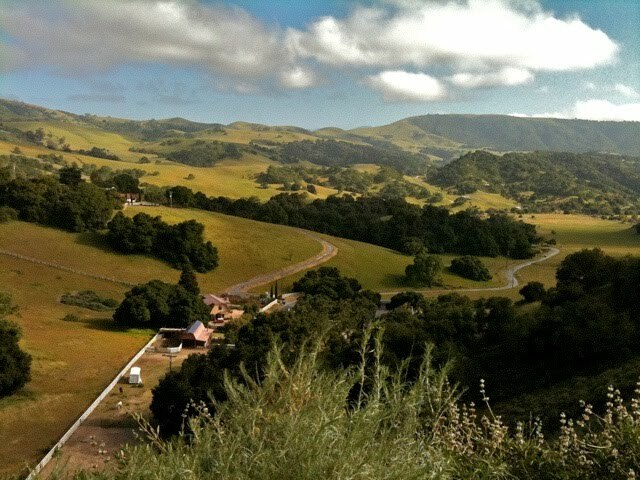 The hills were lush green due to recent rains, the wildflowers were out, there were cows and calves sitting peacefully in the sun and crooked sycamore trees like line drawings dotting the landscape. And (I’m not kidding) the very air seemed perfumed. We rolled down the windows and just breathed in, trying to identify the scent. It became more and more lovely as we slowly drove, gazing around wide-eyed. Phrases started to be uttered such as: “It would be so wonderful to live here.” “Let’s pool our money and buy a big house.” “If I lived here I’d get up very early, and drink coffee on my veranda.” “I’d be able to write all day.” Just like the characters of Pastures, we fell under its spell, and could easily build in our minds a future of comfort and success. The power of this particular part of the world had imposed itself upon us, quietly and thoroughly. I’ve rarely had this kind of experience, of “being called” simply from a place. I’ve seen some beautiful landscapes and buildings and could imagine myself living there, but rarely has it felt like it could truly be a home. Combined with the promise of being almost within reach—I don’t live that far from this country, I talked with several people who do live in that area—and the whole thing became very seductive. But there is always rationalization, and reality. I know the housing prices in those sweet valleys are still inflated, and that the kind of work I want and need to do in the arts might not be readily available there, and I would miss my community of friends and family in the Bay Area. I also remember the slightly-more-than-one-would-expect number of “For Sale” signs on houses that we passed on our drive. In the months leading up to our 2010 Main Stage season, we’ll be profiling the creative minds behind the season’s productions—John Steinbeck’s The Pastures of Heaven, Mrs. Warren’s Profession, Macbeth, and Much Ado About Nothing—in our e-newsletters. For the inaugural installment, we are introducing newsletter subscribers to playwright Octavio Solis, a Cal Shakes Associate Artist and occasional contributor to this blog. 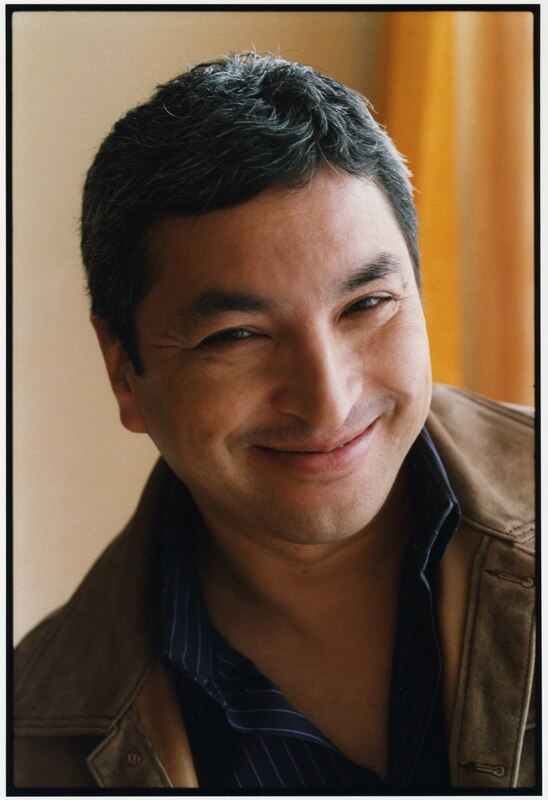 Since 2007, Octavio has been working with us and Word for Word Performing Arts Company to adapt John Steinbeck’s The Pastures of Heaven, the first new play to debut at Cal Shakes in 25 years. What follows is the full transcript of my email interview with Octavio. To sign up for our email newsletter, click here. Do you remember your very first piece of creative writing, or perhaps the piece that alerted you to the possibilities of the form? Yes, a pair of poems I wrote in class when I was in the fifth grade. One was a tribute for my mother. The other was a poem called “Ode to a Prairie Dog” or something like that. I lived in Texas and we had these critters everywhere. I was very moved by a ballad I had read in class that practically sang to me: “The Highwayman” by Alfred Noyes. It really made me want to be a poet. Then I discovered Edgar Allan Poe and I consumed everything he ever wrote. All his fiction, all his poetry, everything. I loved him. Is there a work (literary, musical, or any other form) that would be your dream adaptation project? I would love to attempt sometime an adaptation of the life of Eva Hesse. She was a beautiful German-born American artist who was one of the biggest influences on Abstract Expressionism. She led a troubled life, surrounded with tragedy and death, from the Nazis to the brain tumor, which eventually took her life. I think her life is compelling enough to warrant a play or film. What inspires you right now? Any particular music, current events, people, et cetera? Music is a chief inspiration. I listen to jazz from every epoch, particularly the bebop era, and the jazz-flavored world music coming from the ECM label: Anouar Brahem and Arve Henrikson and the Tomasz Stanko Quartet. Really dark moody stuff. The music takes me to other worlds. If you could have written any play in history, what do you wish it could have been? A Streetcar Named Desire. Maybe Our Town. Who are your favorite writers (theatrical and nontheatrical, living or deceased)? That changes from year to year and mood to mood. Right now I like the fiction of Roberto Bolaño and the poetry of Mark Strand. I am enamored of the works of Mary Oliver too. And Thomas Hardy. His poetry is as rich in story and nuance as his novels. You’ve been so very busy these last few years. Do you have any plans to slow down in the next months or years? Or are you just building up momentum to keep going at a similar pace? I have slowed down. My body has buckled under me and imposed a period of rest. So I am laying low at the moment. I like it. I have been working at a pace that was killing me, and now I don’t think I want to do that anymore. Subscribe now to get the best seats at the best prices for John Steinbeck’s The Pastures of Heaven, and the rest of our 2010 season. Photo by Anne Hamersky. So folks, we just ended a full week of workshopping the first complete draft of Octavio Solis’ adaptation of Steinbeck’s The Pastures of Heaven. We’re premiering it next year on our Main Stage, and it was quite a week. Octavio’s play is, simply, beautiful. On the path to making a play, you look for its DNA: what it’s made of. Changes will be made—cuts, rearrangements of scenes, additions, etc.—but what needs to be there at one point is the play’s DNA. Its self. Octavio’s Pastures has real DNA. It has a genuine theatrical life, blending Word for Word’s sensibility of translating literature into theater with my love of the nakedness of storytelling in the hands of actors (as we explored in Nicholas Nickleby). But more importantly, it has heart. And poetry. It’s also very very funny. And that’s all Octavio. He pulls Steinbeck’s quiet words off the page and finds the juxtapositions between humor and pathos in a way that makes me happy to feel like I am in the hands of a Chekhovian writer. We assembled a group of actors, some of whom had been with the process since it started two years ago, and some new actors. And all were splendid collaborators, able to make characters distinct and alive in an extremely short time; also able to ask smart questions of the text that will inevitably inform our next steps in the development of the piece; and most of all, united, in just six days, into an ensemble. Which is what this play celebrates: the storytelling of an ensemble of actors. It’s sheer theater—authentic and alive. We invited some funders, board members, staff, and patrons to the “window on the work” yesterday, reading abou half of the play. The feeling in the room was palpable—there was something special going on here. I was, to be quite sentimental, extremely proud, moved, and almost speechless (and for those of you who know me, that is no small feat) by the presence of a wonderful new American play, inspired by one of our great American writers—a classic writer if you will—at a Theater that is taking a big leap forward in defining who it is. The great folks at Arena Stage sent someone out to chronicle the process. 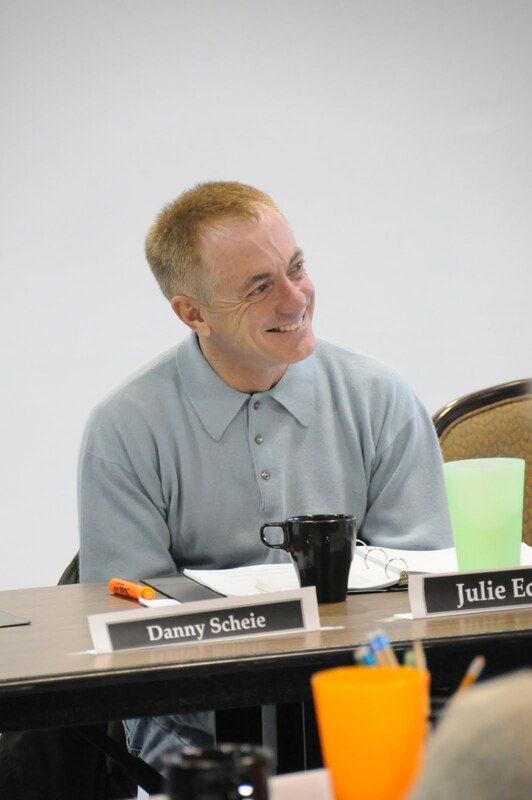 They, along with the NEA, were partners in selecting John Steinbeck’s The Pastures of Heaven as one of five NEA Distinguished New American Plays. This, along with support from the Irvine Foundation and other amazing foundations, is making it possible for us to do this piece. And our subscribers delight in the surprises we make for them. So their spirit was in the room as we made steps in the creation of this piece. And our staff, led by the great Jessica Richards, producer of the project, was there every step of the way. Hence the pride, the being moved, and the almost-speechlessness. I couldn’t do this anywhere else but at Cal Shakes, and in the Bay Area, which is by far the best place in this country to take chances in theatrical expression. There’s a lot of work still be done with the play, but Octavio knows where to go with it and what to do. Trust the playwright. Especially when it’s Octavio Solis, who listens more than he talks, takes in and thinks hard about what the actors and I are doing, and is open to the collaboration of the ensemble and myself. I am genuinely happy about what happened last week, which is just a marker in the path of the making of this new American play. And our community engagement—with folks in Salinas, especially the young artists of Alisal Center for the Arts (whose mural inspired by The Pastures of Heaven will be on display at our Theater during the play’s run) as well as students in the Bay Area who are learning about Steinbeck and how to make literature come alive (via our excellent teaching artists)—makes this more than just a play-making process. It’s a community-building process. It makes it all bigger. It makes more impact. And it will forever change this Theater and, I hope, some of the communities we are reaching out to. Pictured above, from top: Jonathan speaks to project artists at the last Pastures workshop; Danny Scheie; Maya Lawson; Craig Marker; photos by Jay Yamada. View more at the New Works/New Communities Flickr page. And so now, without further ado, here’s your first prompt, written by none other than Octavio Solis, the award-winning playwright of John Steinbeck’s The Pastures of Heaven. In The Pastures of Heaven, as in most of his other novels dealing with Salinas, Steinbeck depicts the hard lives of the rural working class. There are migrant workers, chicken farmers, cattle ranchers, orchard growers, construction workers, etc., peppered throughout his works. Can you think of other contemporary writers working today who focus on this labor force? Has anyone in your background ever worked the land like Steinbeck’s characters? What particular kind of work did they do? 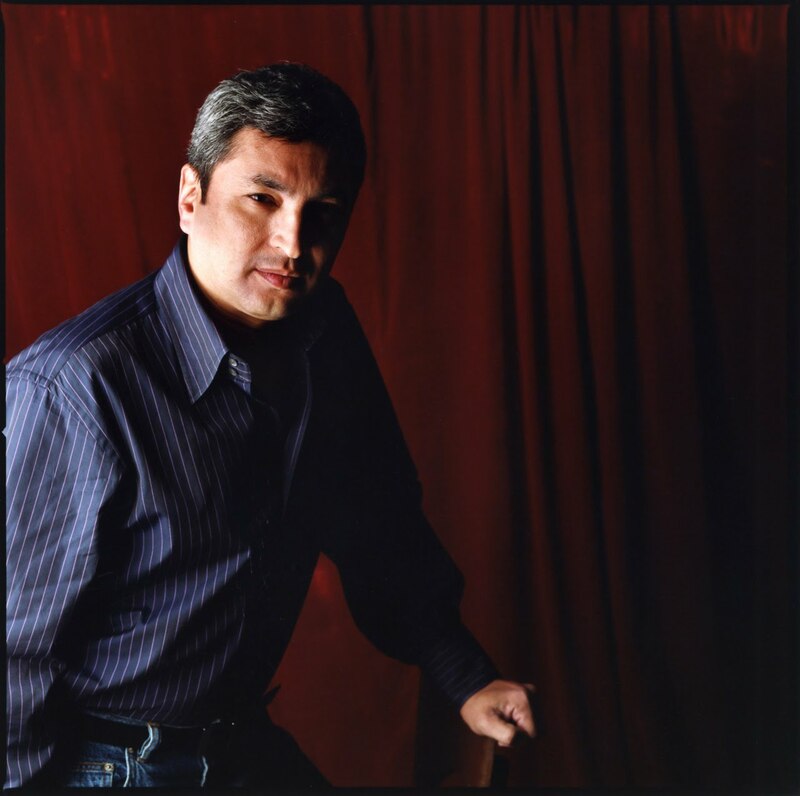 Photo of Octavio Solis by Anne Hamersky. *Prize still to be determined. Please leave your email address somewhere in your comment!! **Don’t worry, we’ll ask your permission first. Some things that have been discussed as possible topics include: the hard lives of the rural working class in literature and in real life; utopias; place names and what they mean; how one’s landscape defines their possibilities; and fitting into a community. Most if not all of these topics will be covered in the ensuing weeks’ prompts. Stay tuned! *Fabulous prize still to be determined. Beginning two weeks from today, the Cal Shakes New Works/New Communities program will be asking for your help in our development of John Steinbeck’s The Pastures of Heaven. This play—which we’ve been developing in collaboration with award-winning playwright Octavio Solis and San Francisco’s renowned Word for Word Performing Arts Company over the past two years as part of our Steinbeck Project—is now slotted to have its debut on the Cal Shakes Main Stage, kicking off our 2010 season. But the script is not quite finished yet, and we have one more development workshop coming up in November. To further inform the development process, we’ll be posting a series of three prompts on this blog, one every Monday starting October 19. The prompts will be crafted by playwright Solis, Pastures director (and Cal Shakes Artistic Director) Jonathan Moscone, Cal Shakes Director of Artistic Learning Trish Tillman, and Word for Word Co-Artistic Director JoAnne Winter. With each prompt, we’ll be asking for your input, via prose, poetry, video, audio, and whatever else you’d like to leave in the “comments” section. Curious? Check back in with us next Monday for a sneak preview of themes and topics. We can’t wait to see what you’ll bring to The Pastures of Heaven. Pictured above: A rock formation in the Corral de Tierra area of Salinas; photo by Derek Smith. The Cal Shakes 2010 season has been announced!! Season packages on sale now! Click here to read a letter from Jonathan Moscone. And call 510.548.9666 or click here to pick out your series! It’s in the language of the moment; no more, no less. 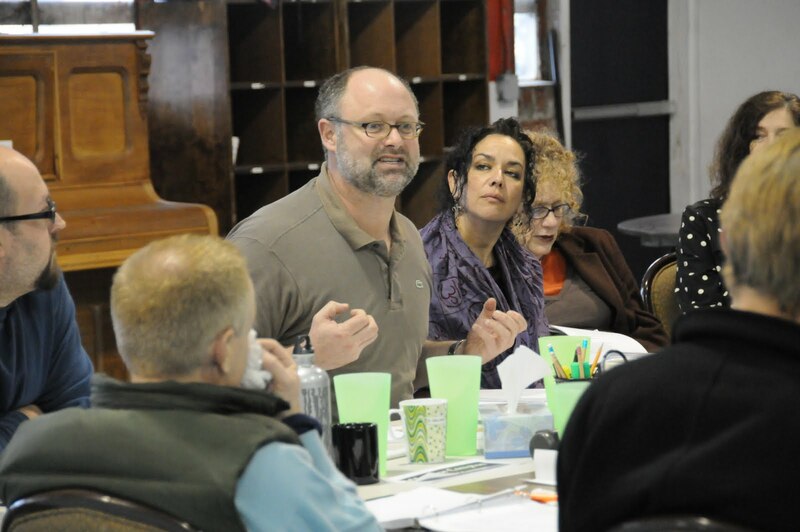 Another blog from our fourth Steinbeck Project workshop. This is the second dispatch from Associate Artistic Director Jessica Richards, written on the last full day of rehearsal before today’s performance. I’ve never been involved with a production that worked with musicians quite like we are here in this workshop. Arwen Lawrence and Jorge Liceaga (the two members of Cascada de Flores who are with us this week) are amazing. Octavio (Solis, Pastures of Heaven‘s playwright) has worked with them before on a show with Shadowlight Productions, and the three of them have a wonderfully collaborative give-and-take of putting his stories to music. When writing the Lopez Sisters story, Octavio intended for it to become a corrido. 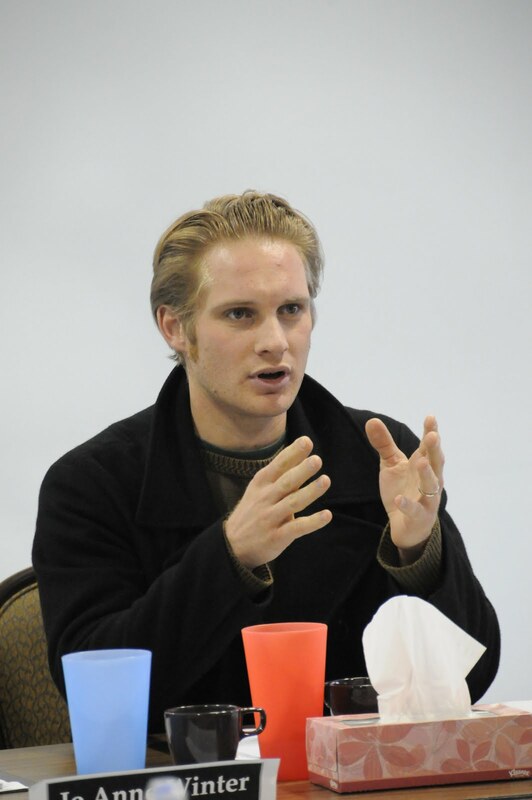 You may have seen him in video at our December workshop, singing an early draft. He revised it in May, and we sent the lyrics off to Arwen for she and Jorge to compose the music. From there, Cascada played around with the instrumentation, landing on two guitars (nylon- and steel-stringed) and accordion, and working with books of traditional corrido melodies for musical inspiration. For many lines, they found that the melody required a few more syllables than Octavio had written, or that a word in Spanish would complete the rhyme even better. They had free reign to revise the lyrics as needed, and today, Octavio has spent most of the afternoon with Arwen and Jorge fine-tuning the language of the corrido in advance of our public reading tomorrow afternoon. At the same time, Arwen and JoAnne Winter have been working together on the vocal parts of the Lopez Sisters: Maria and Rosa. We’ve only heard bits and pieces so far, but everything sounds great. There’s something to the comedy of Steinbeck (and Solis) that’s very dry and straightforward—it’s in the language of the moment; no more, no less. And hearing these two women (both of whom have really fab voices) tell the story of Maria and Rosa is hilarious and captivating and sweet, all at once. The open-process staged reading takes place Friday at 3:30pm at Ashby Stage. I’m really looking forward to seeing how people respond to the work, though I’ll be a little sad that another workshop is over. We shouldn’t be allowed to have this much fun! We’re posting blogs this week live from our fourth workshop for The Pastures of Heaven. This latest one is by Associate Artistic Director Jessica Richards. We met at 10 yesterday morning for our first workshop day for The Pastures of Heaven, and somehow the day flew by as we dug into one of the three stories Octavio Solis has drafted. Our first piece is “Tularecito,” the story of a man-sized frog-child, possibly of mythical origin, definitely an outcast in his town. This was one of the first stories that captured the group’s imagination when we were reading John Steinbeck’s novel last year. We’ve researched the history, played with how Steinbeck’s language could be physicalized, and discussed this character dozens of times since fall of 2007. And finally, here he is, standing onstage telling his story, as are the characters in his world. But what to do with the descriptive passages Steinbeck is known for? Inspired by the Word for Word style and the work of the Royal Shakespeare Company on Nicholas Nickleby, Octavio has given the Chorus much of this story to tell. We’re working out now how that translates to dramatic action, down to the basics of who has the line and in what context he or she says it (as a named character or as a townsperson or as a narrator?). This is how 12 pages of text can take four hours to read through! It’s fascinating to me to watch these lines get parsed and divided—which words are layered with multiple voices, and when, exactly, an actor fades from a named character into a member of the ensemble. All the while, Octavio types away on revisions and rewrites, continually being called upon to answer the “first-person vs. third-person” questions and weigh in on who a character is addressing. Today we’re on to staging, finding more places where we need to question the function of the ensemble as the action comes together. Cascada de Flores, our wonderful musicians, join us again this afternoon to bring in the story of the Lopez (“Tortilla”) sisters. And on we go. Sign up to get customized Cal Shakes news by email.